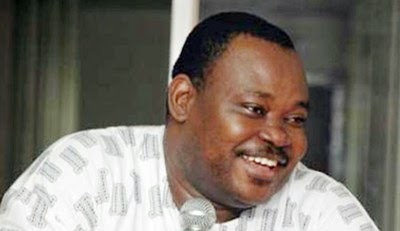 Justice Abdulazeez Anka of the Federal High Court in Lagos yesterday vacated the interim order granted to the Assets Management Corporation of Nigeria (AMCON) to take over some assets belonging to businessman, Mr. Jimoh Ibrahim, over his alleged indebtedness to the corporation. The judge set aside the ex-parte order following an application by AMCON’s lawyer, Mr. Yusuf Ali (SAN) that the parties in the suit had decided to explore an amicable settlement of the dispute. Justice Saliu Saidu had on June 14, 2016, granted AMCON an interim injunction against NICON Investment Limited, Global Fleet Oil & Gas Limited and Ibrahim. But NICON Insurance Limited, Nigeria Re-Insurance Hotels Limited, Abuja International Hotels Limited and NICON Hotels Limited had in a motion on notice filed by their lawyers led by Chief Niyi Akintola (SAN) and Chief Bolaji Ayorinde (SAN) prayed the court to set aside the ex-parte order on the grounds that AMCON deliberately failed to make full disclosure of all the material facts before the court. At the resumed hearing of the applications to vacate the ex parte order yesterday, AMCON’s lawyer told the court that since the provisions of the Federal High Court rules encourage amicable settlement of disputes, the parties had decided to meet and report back to court within two weeks. “In the spirit of good faith to show that we are doing this to promote equity and justice, we have agreed that the ex-parte order should be suspended so that parties can explore the issue of settlement. “We have an agreement that each of the parties will nominate one chartered accountant each that will carry out a forensic audit of the account. “Since Union Bank is the principal bank that gave out the loan, the accountants will meet at Union Bank’s headquarters and they are to report back within two weeks,” Ali said. Confirming the agreement, Akintola, Ayorinde and Ibrahim who led a team of lawyers, urged the court to set aside the ex parte order so as to give the parties unfettered access to meet and report back to the court. Addressing the court, Akintola submitted that the parties had agreed to explore an amicable way of settling the dispute, adding that the applicants had appointed the firm of Adewale Folowosele & Associates to meet with those that would be nominated by AMCON and Union Bank. “We have appointed Adewale Folowosele & Associates and await that of AMCON and Union Bank, respectively. Consequently, I apply that the ex parte order of June 14, 2016 should be discharged and parties will return back to court within two weeks,” Akintola said. Ali told the court that as soon as the names of the accountants nominated my AMCON and the bank are ready, their names would be forwarded to the applicants. In a short ruling, Justice Anka discharged the order and adjourned the matter till August 1, 2016. Earlier, Akintola and Ayorinde, in their applications, had told the court that the properties attached by the interim order belong to the applicants who were not parties to the suit filed by AMCON, thereby making it illegal, unlawful and contrary to the provisions of Section 28 of the NICON Insurance Corporation of Nigeria Act, Cap N54 Laws of the Federation of Nigeria, 2004. Ayorinde submitted that the applicants were not borrowers or beneficiaries nor were they guarantors to the debt owed the plaintiff (AMCON). He further argued that AMCON failed to neither comply with the condition precedent by serving a pre-action notice on the applicants, nor did the plaintiff seek the leave of the court before joining the applicants to the main suit in their writ of summons purportedly filed on June 27, 2016. “We submit that a court is only competent when a case comes before it by due process of law and upon fulfillment of any condition precedent to the exercise of jurisdiction. “Any defect on the competence of the court is fatal to the proceedings before the court and renders it a nullity. “We also submit that the only condition under which the court can entertain the application of a person who is not a party to the suit is when the party has first sought for and obtained the leave of the court before bringing the action,” Ayorinde argued. The applicants had in a 24-pragraph affidavit in support of the motion on notice deposed to by one Gbenga Onilude, a litigation officer in the law firm of B. Ayorinde & Co stated that none of the properties attached in the ex parte order belongs to any of the defendants: NICON Investment Limited, Global Fleet Oil and Gas Limited and Ibrahim. According to the deponent, the ex parte order was obtained via suppression and misrepresentation of the material facts by the plaintiff (AMCON) and it was obtained in bad faith against persons who were not parties to the suit.